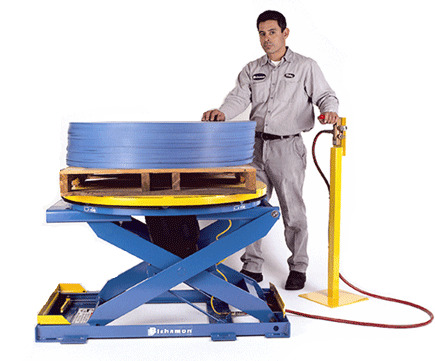 EZ-UP™ Series Bishamon EZU Series Pneumatic Lift Tables are the convenient way to use air to raise, lower, and position a load. Pneumatic lifts contain no electrical or hydraulic components. They require little maintenance and provide the ideal tool where cleanliness is a must and where sparks can be hazardous.